This gorgeous 14 piece nativity set is a powerful representation of the scene of Our Savior's birth. Each intricate figure can be handled and placed in the nativity scene along with the separate chests filled with real 23k gold and authentic frankincense and myrrh. 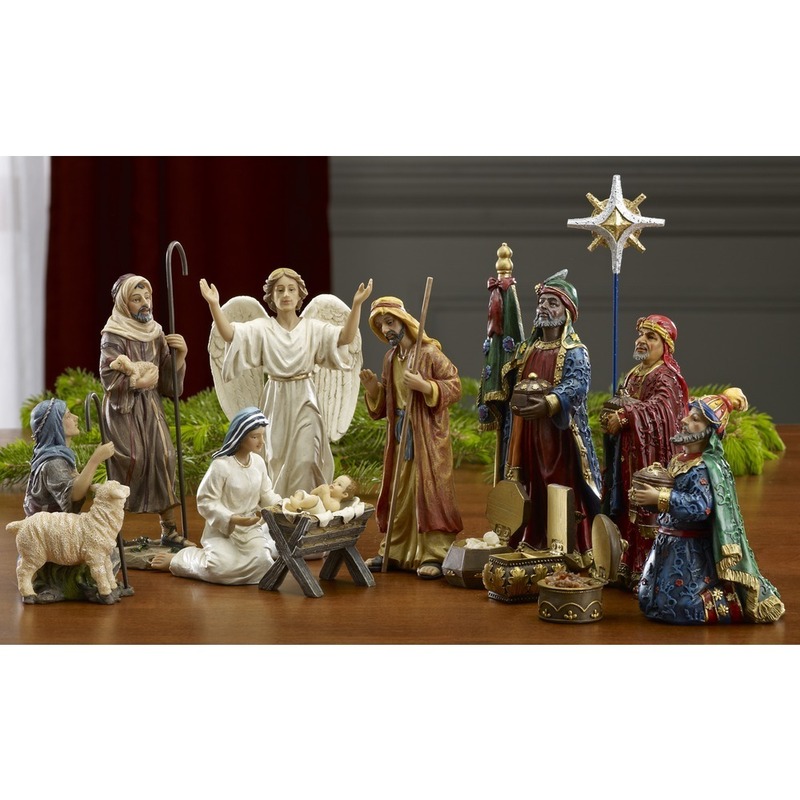 An heirloom quality set, this real life nativity set resembles many of the larger versions and yet is small enough for even children to handle. The Baby Jesus can be placed into the manger or into the arms of the kneeling Blessed Mother Mary. With it's deep colors and authentic figures, this Real Life Nativity set is a timeless way to treasure the hope and joy of Christmas in the years to come. The fourteen pieces include Mary, Joseph, the Baby Jesus, the three Magi, three shepherds, an angel, a standing star, and three boxes containing gold, frankincense, and myrrh. Stable animals and Magi camels may be purchased separately to complete the "Real Life Nativity" scene set.